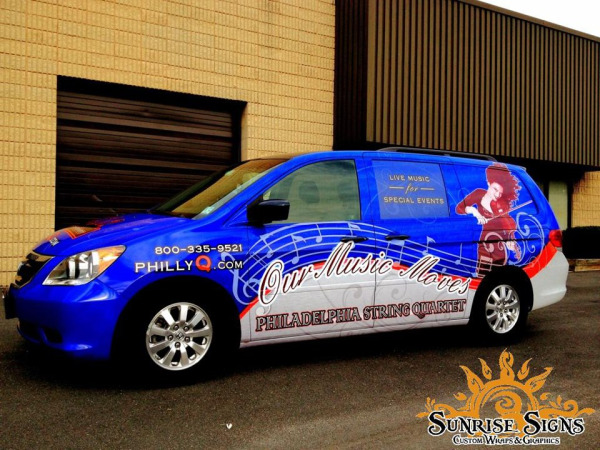 Philadelphia String Quartet Makes Music With Honda Odyssey Van Wraps in PA! How can bands, DJs and quartets get noticed above all the competition? Beyond being the best they can be much like the Philadelphia String Quartet (PSQ), they can also invest in vehicle graphics and wraps! That’s just what PSQ did—they’re playing music of a different sort with their Honda Odyssey van wraps and the music is sharp, crisp and noticeable!